Chad Soriano PhotoBlog: Field Trip Fun! 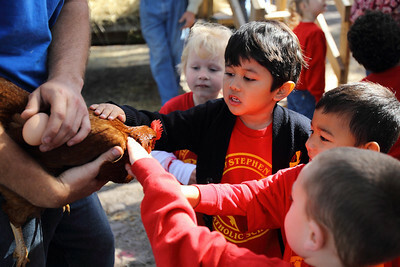 Elementary school would not be complete without a field trip to a local ranch farm. Just thoughts of horses, barns, haystacks,chickens, rabbits and goats make my kids go absolute bonkers. 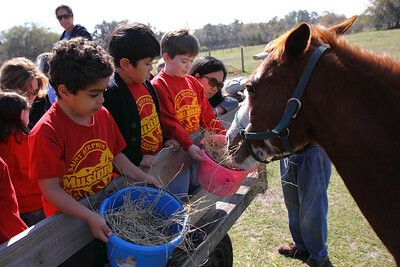 The wonderful and gracious people of R&R Ranch hosted my son's school field trip. 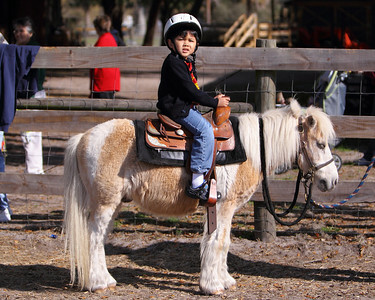 My son has not even attempted to ride a pony solo since his cousin's birthday party at the same ranch a couple of weeks ago. I guess he gave in too the peer pressure of his classmates. My son donned the helmet and off he went into the midday sun. The middle of the afternoon is not the best time to photograph people. Harsh shadows,blown out skies and squinting eyeballs are just a few things that deter me from the spotlight effect of the sun. You know, mornings and twilight are the golden hours for beautiful light. The classic hay ride topped of the trip and to the kid's delight they got to feed the grown up horses. Standing next to one is intimidating. 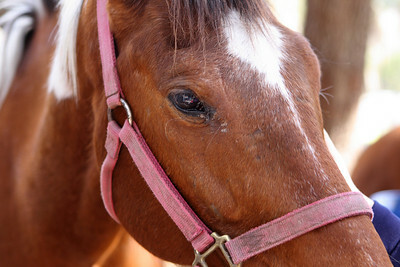 I do not know what the horse is thinking about the black object in my hand snapping away his picture. All I know he did not think it was food because I still have my hands to speak of. 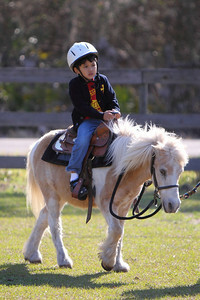 All day as I was photographing the kids and horses, my son kept warning me not to step on the horse poop. Learning my lesson from my nephew's ranch birthday party, I put on my horse pie kickers to deter any smelly altercations. My school field trip indicator hit the threshold for a complete joy. My son also went to see how real pizza is made at a restaurant (photographed with the Canon EOS 7D) and experienced professional ice hockey players with The Tampa Bay Lightning at the St. Pete Times Forum (photographed with the Canon EOS 1D Mark IV). This topped off a great year, as field trips go, for my mini clone. This post would not be complete without a Canon EOS 1D Mark IV video and picture gallery. 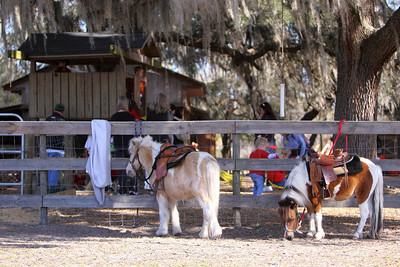 Check out the brief video below and click on the above link to check out more pictures of my son's fabulous field trip to R&R Ranch in Lithia,FL.